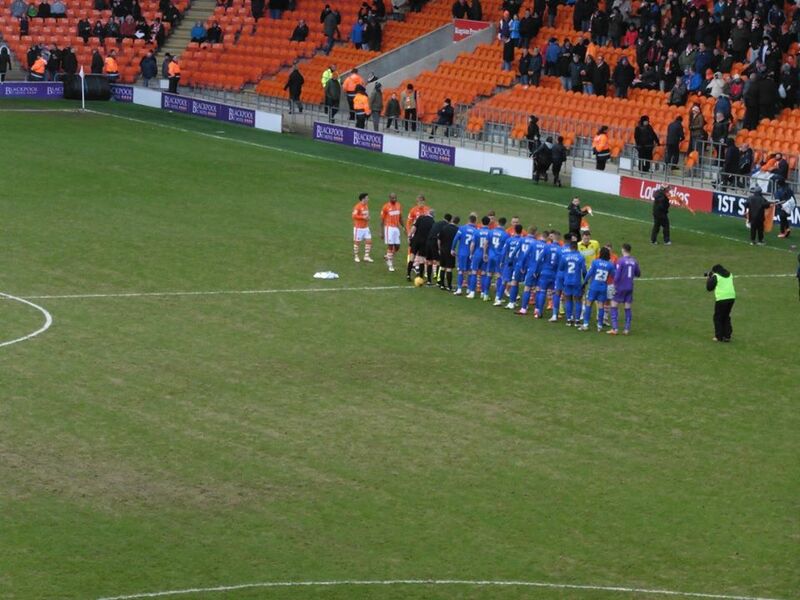 My only visit to Bloomfield Road so far was in a cold, wet, windy January of 2016 with a 1-0 defeat for Gillingham through probably one of the softest penalties I've seen. 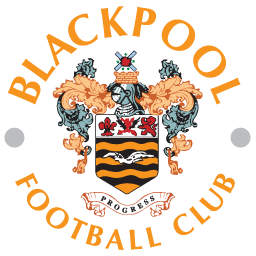 I was looking forward to visiting Blackpool the most as I previously done a weekend up there with my girlfriend a few months before. 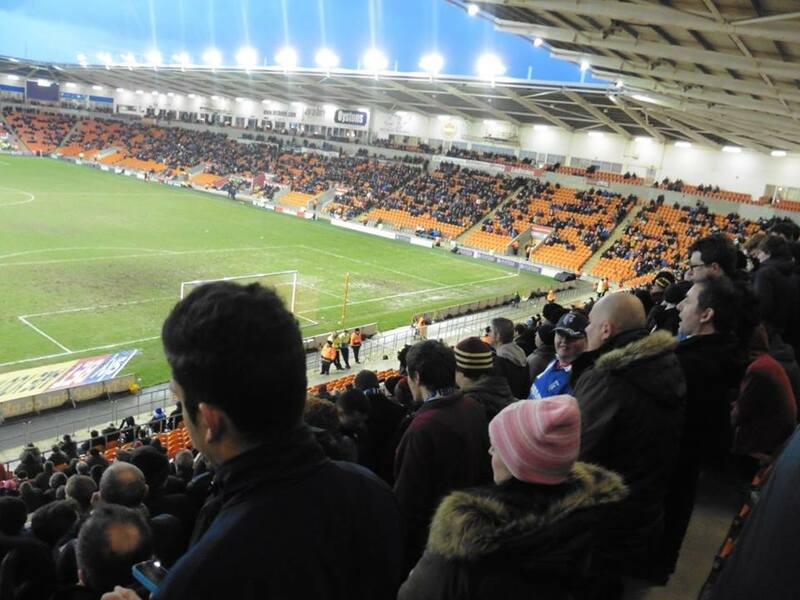 When I saw the fixtures when they were released and noticed Blackpool away was in January, I wasn't over the moon as such as January is such a cold month. 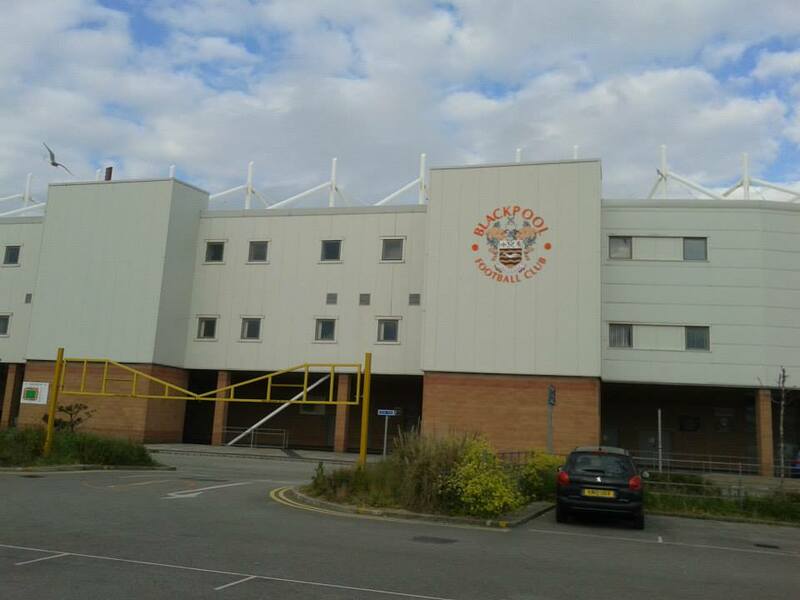 But anyway I decided to do another weekend there and stay where I've stayed before, which was in Pleasure Beach, around a 15 minute walk to the ground. 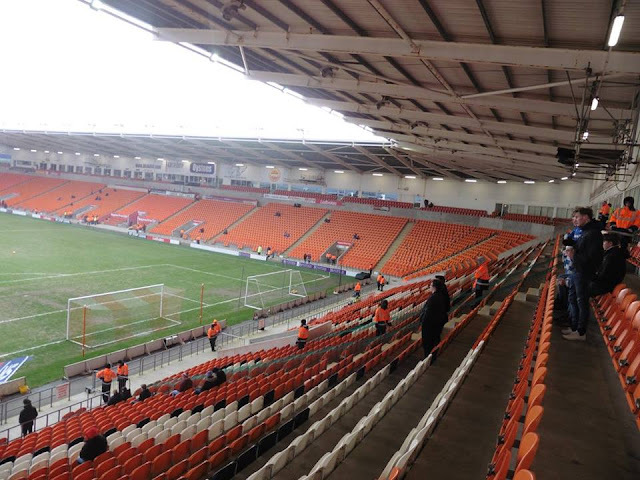 Anyway, Blackpool was ground number 66 of 92 for me which was pleasing as I've set a target to reach 70 grounds at least by the end of the season. I left home on Friday around 9am and got to Blackpool around 3.15 to chill for the rest of the evening. Always loved doing a weekend in Blackpool, although I probably wouldn't recommend doing a weekend up there in the winter as there isn't a lot open wise, but certainly summer wise is certainly worth doing a weekend. 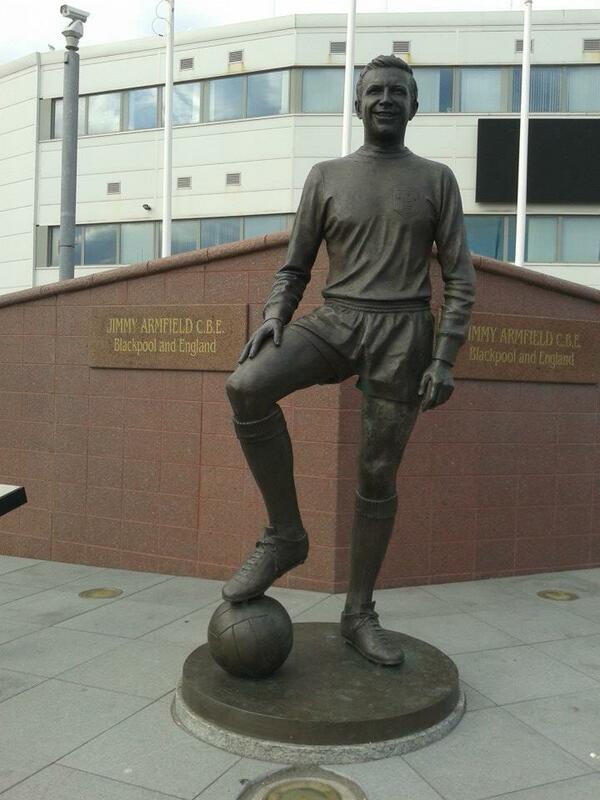 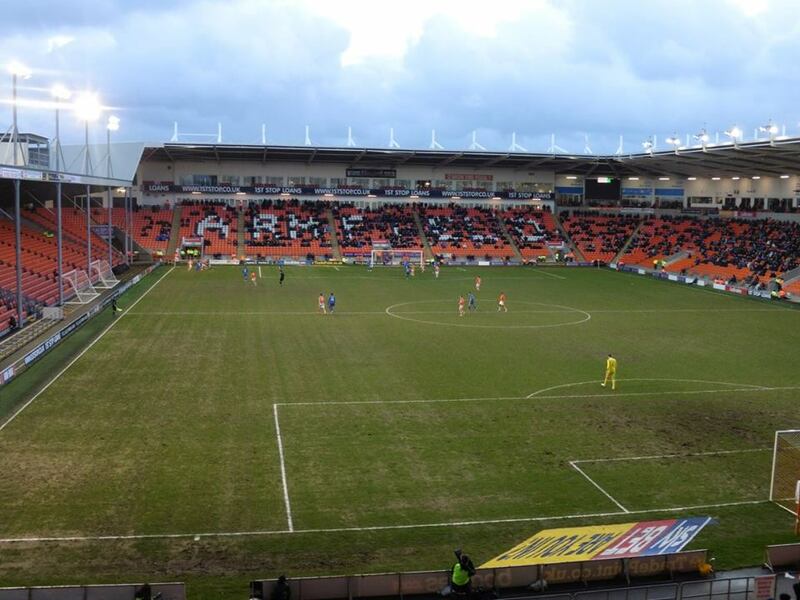 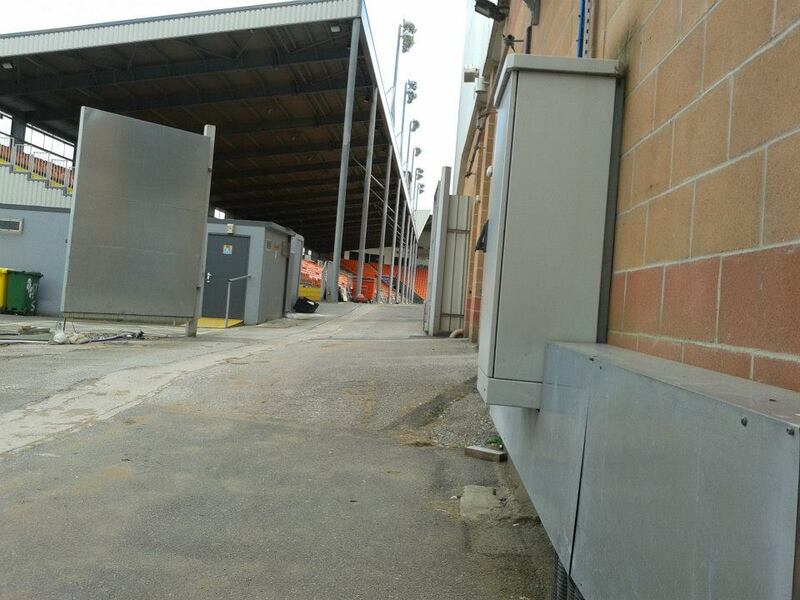 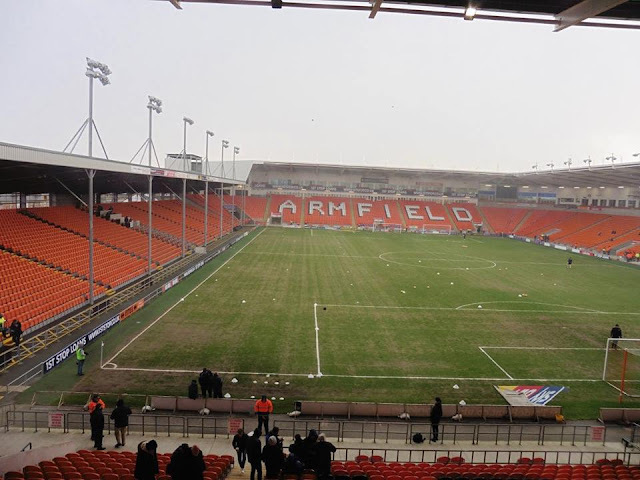 Bloomfield Road is an all seater stadium, with the away section situated behind the goal. 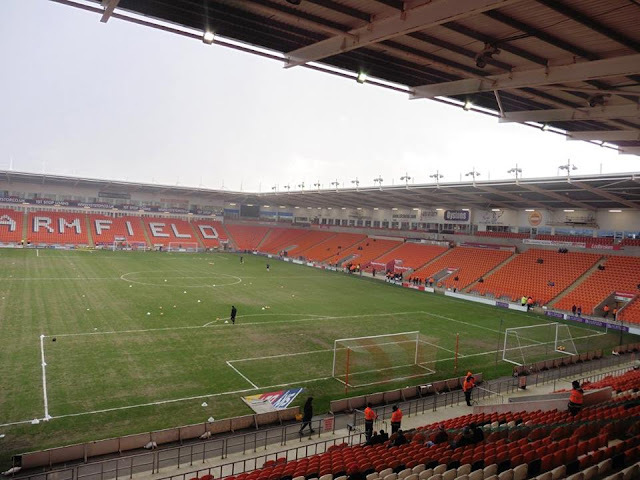 Blackpool South railway station is around a 10 minute walk away from the ground.